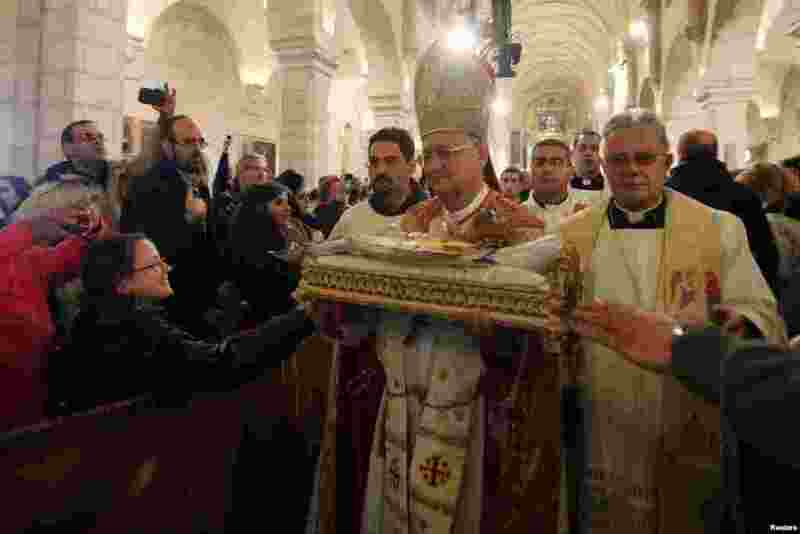 ١ The Latin Patriarch of Jerusalem Fouad Twal (2nd R) carries a statuette of baby Jesus during Christmas midnight mass at the Church of St. Catherine, which is connected to the Church of the Nativity, in the West Bank town of Bethlehem. 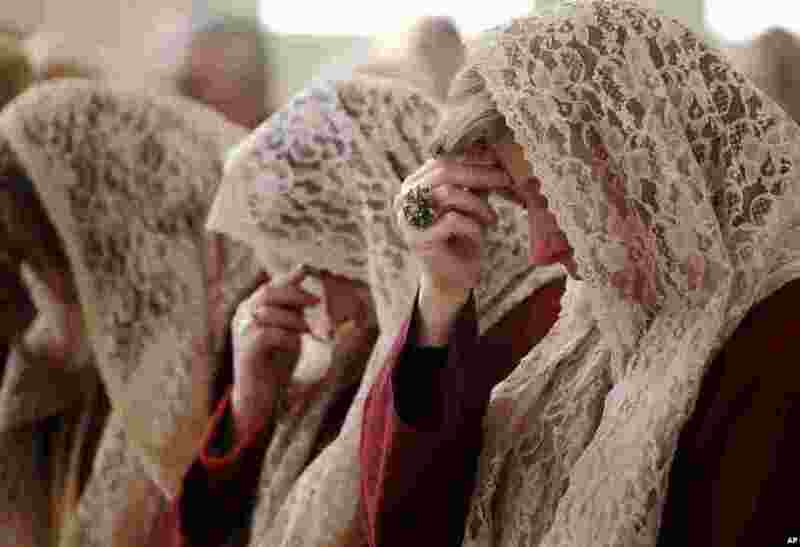 ٢ The women of Saint Afram Syrian Orthodox Church's choir pray during morning Christmas mass in Amman, Jordan. Syrian and Iraqi Orthodox Christian families attended morning mass of Christmas and pray for peace in their countries. 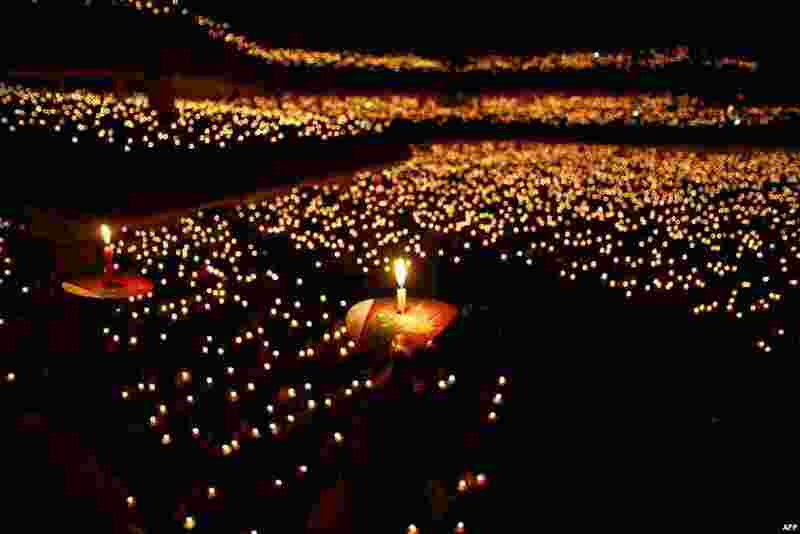 ٣ Christian worshippers attend a Christmas prayer in Surabaya. Indonesian Christians celebrated Christmas amid a warning from police that Islamic extremists may be planning to target worshippers during Christmas and New Years celebrations in the capital Jakarta and other parts of the country. ٤ Britain's Catherine, the Duchess of Cambridge, rushes to collect flowers from well-wishers as she leaves a Christmas Day morning service at the church on the Sandringham Estate in Norfolk, eastern England.